Facebook user exposed a guy who refuses to pay his debt from losing a bet. The guy, named Rick Jason, had the audacity to be angry at the uploader for making him pay. People often bet because of the possibility that the money that they put out will somewhat come back to them in a much bigger amount. But when you lose the said bet, it’s time to pay up as that’s just how it goes. It turns out that some people just don’t want to lose more money, so they just run from it in the end. 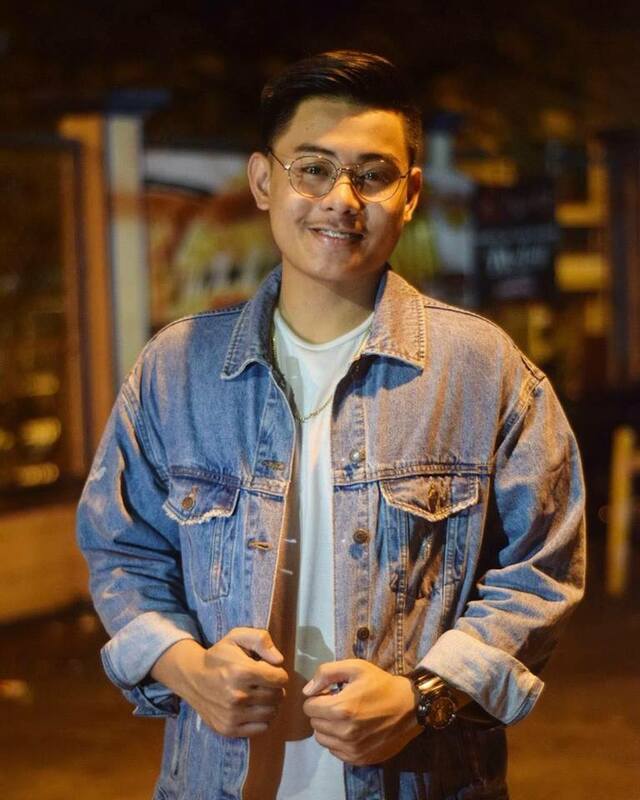 On October 8, Facebook user Andrew Quindez made his dilemma public by exposing a guy named Rick Jason Ortega Garcia who refused to pay his debt of ₱1,000. 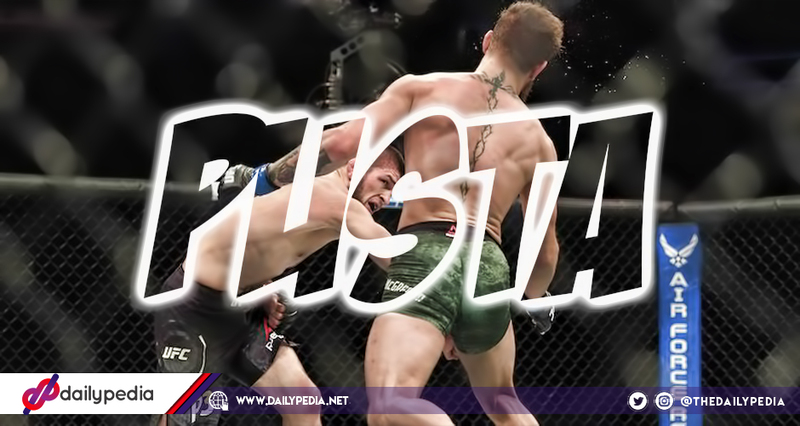 According to Quindez, he told Garcia that he has until noon to pay his debt; however, the latter even got annoyed when Quindez kept reminding of the money he owed him. 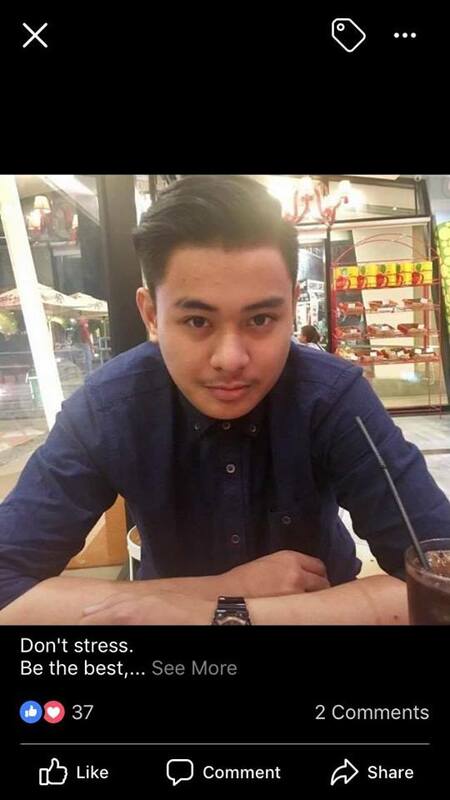 Rick Jason Ortega Garcia sabi ko naman sau bibigyan kita ng gang 12 ng tanghali pero still wala pa din at take note ikaw pa ang galit sa reply mo. Quidez even said that if he had no money, he should just tell the truth instead of giving so many excuses. But the netizen decided not to stress himself further and just let his ₱1,000 go. 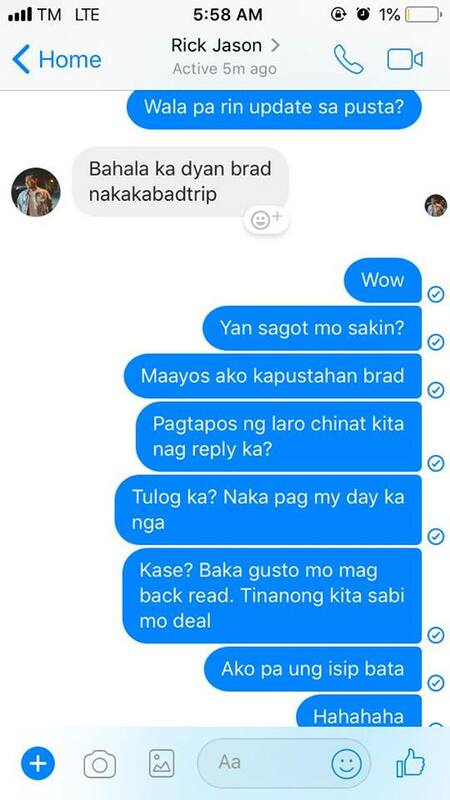 Madali ako kausap brad alam ng mga nakalaban at mga kakilala ko pag dating sa pera. KUNG WALA KANG PERA sabihin mo. Hindi ung ang dami mong dahilan. Sayo na yang 1k mo pambili ng bayag! Baka sakaling mag karoon ka. Liit na halaga nag papakilala. Lesson learned! Wag makipagpustahan sa mga pa coolkid ba gaya nito. He attached a photo of Garcia to his post. He also uploaded screenshots of their conversations, starting from the moment they agreed to the bet. There came a moment when Garcia got annoyed and said that he was sleeping. He proceeded on threatening Quidez that he will not pay the money that he owed. Quidez answered him and said that he was liking posts and even uploaded on his My Day stories which meant that he lied about him sleeping during that time. The post now has more than 1,000 shares on Facebook. On his personal Facebook account, Rick Jason Ortega Garcia shared Quidez’s photos with caption: “Etong cute na to nag ngangangawa at pinasikat ako dahil sa 1k kala mo di babayaran. 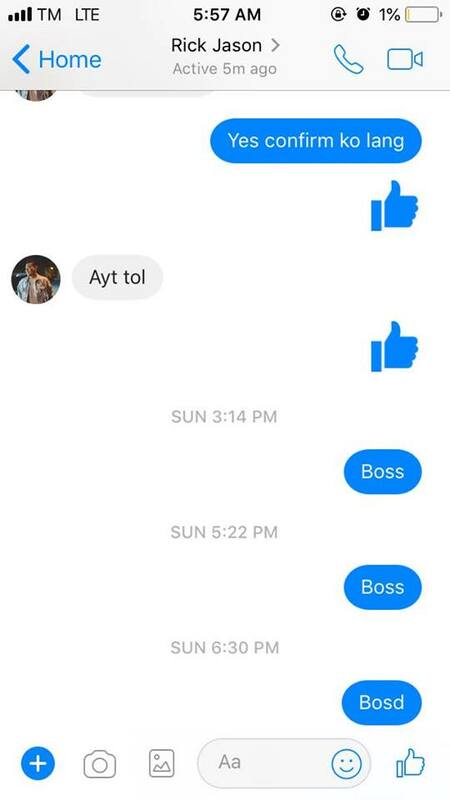 Ok na ba? Napasikat mo nako? Masaya ka na po ba? “Thank you din sir! 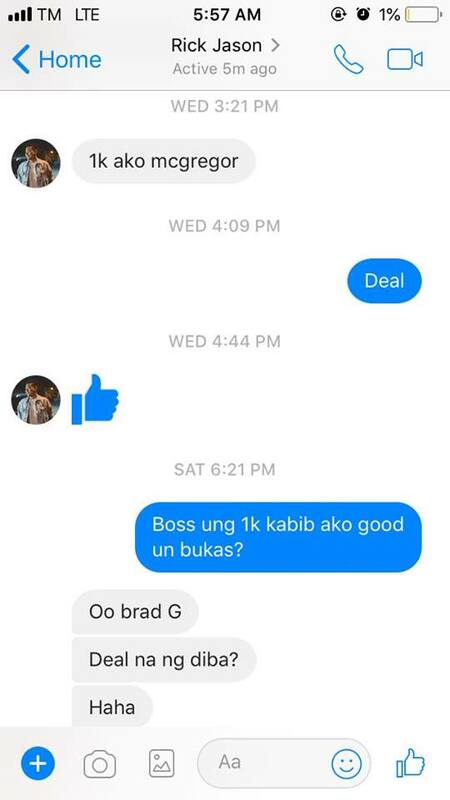 Kasi pinasikat moko  nakakahiya ka para sa 1k umiiyak ka. 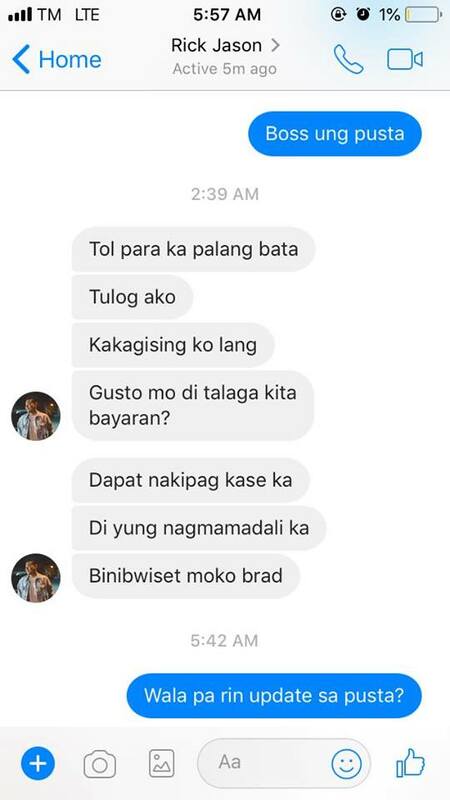 Para kang walang pang kain hapit na hapit kahit tignan mo convo natin nakakabwiset ka talaga natutulog ako chat ka ng chat tapos pag gising ko tingin mo matutuwa ko sa ginawa mo?